“Be careful, you might get run over.” So squawks an administrator from the local RMIT University as she dashes towards Princess Park, Melbourne. The need for this jet propulsion enthusiasm is clear: a gathering is being organised in the park, amongst other venues, in a national day of action. The bogeyman? The Indian monster mining concern, Adani. Adani is one of many examples how a world after democracy works, with a country’s functionaries – in this case Australia’s – no better than bureaucrats pushing the agenda of the unelected, giving funeral orations on sovereignty. Exit democracy; welcome lobbies and sweetheart deals. When members of parliament enthusiastically extend their hands to a company which has little intention of being left to the predations of the free market, we know that the world has been inverted. Natural economic selection might be what is promoted by the free-traders, but the practice is a fiction. In Australia, those against market intervention, coddling and backing fortunate “winners” against unfortunate losers, don different hats when to comes to certain industries. In those instances, parliamentarians become socialists for the corporation, divvying up tax dollars for those engaged in sacred pursuits, especially those renting the earth. Be it a fawning Labor government in Queensland (water rights and royalty concessions) or the accommodating Conservative government in Canberra (a huge loan), Australian politicians have been salivating at every chance to throw money at the Indian concern. This is rampant corporate colonialism, and the natives have arms widely stretched in almost treasonous welcome. The glowing achievement of this effort will be a near billion dollar loan for the company, footed by the Australian tax payer via the Northern Australia Infrastructure Facility. The money will subsidise a proposed railway line from the mine site in the Galilee Basin to Abbot Point coal port. The effort is all the more impressive in its soiled quality given the steadfast refusal by the banking sector to fork out anything for the corporation. Adani’s efforts have so far failed to convince any major bank that their Australian coal venture is a sound one. Coal is seeing its last days, and only the dinosaurs continue worshipping at its shrine. 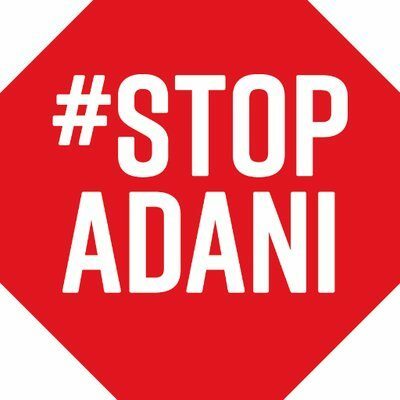 The impetus for some of the organisers behind the Saturday protest came from the juicy outlining of Adani’s exploits in the ABC’s Four Corners program, though Stop Adani and a range of groups have been busy documenting the company’s exploits for some years. The court record of the company, spanning employment, environmental and criminal law, is thick. The ABC team did much in revealing the nature of Adani’s corrupt modus operandi while also receiving a disconcerting welcome at the hands of police whilst being detained in an Indian hotel. But it also revealed a stunned former Environment Minister, Jairam Ramesh, who could barely believe that Australia’s public purse was being allied to the company’s venture. A central fear about its proposed operations is what will happen to the environment, most notably the already imperilled Great Barrier Reef. Ravaged by coral bleaching and climate change, the reef’s fragile existence is further threatened an Indian family’s private interests. Imagine, for instance, a repeat of the 2011 oil spill off the coast of Mumbai, where an unseaworthy vessel carrying 60,054 metric tonnes of Adani coal found its way to the bottom of the ocean. Added to that the company’s reluctance in pursuing cleaning up operations, and the picture gets gloomier, given that 60 million tones of coal could be passing through the Great Barrier Reef World Heritage area. The company’s operations over the years reveal a persistent track record of ecological criminality and despoliation, thinning out tourism industries, destroying beaches and poisoning rivers. To this can be added contentious and patently dangerous employment practices, some involving child labour. To add a delightful rounder to the resume, Adani is also adept in its book keeping. Evading taxation is one of its fortes, with Environmental Justice Australia and Earthjustice noting how “13 of the 26 Adani subsidiaries registered in Australia are ultimately owned in the Cayman Islands.” This must surely be the more ironic, if fiendishly brilliant endeavour: to avoid paying tax while receiving tax funds. 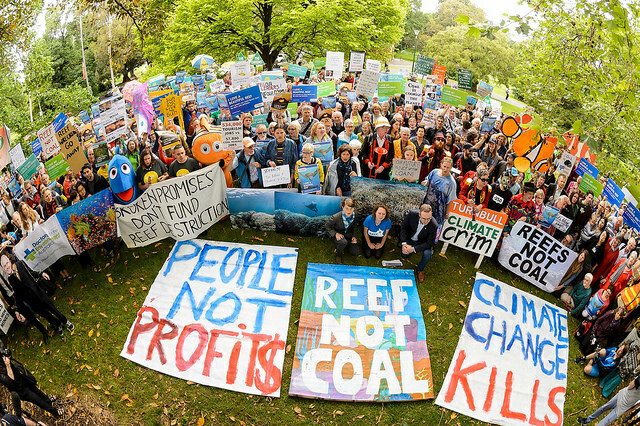 The movement against Adani has found public voice, and gathering momentum. Environmental prudence is finally finding steam, supported by apocalyptic visions of poisoned reefs and river beds. The political agents of mismanagement are, however, ready to do their worst. Mining fundamentalism remains in charge.